Remove dough from can. 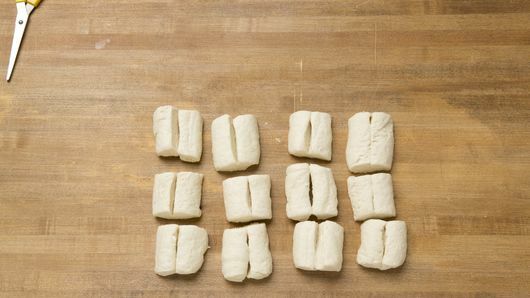 Cut dough in half crosswise; cut each half lengthwise into quarters. Cut each quarter into thirds. Dip 1 of the pieces on both sides into Italian seasoning. Place it in between 2 other pieces. Roll out slightly. Holding ends, twist twice. 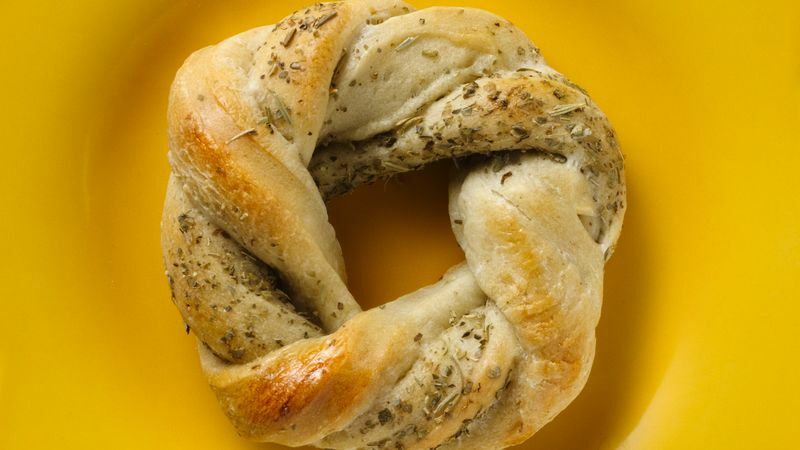 Bring ends together, and pinch to seal in a circle. Place on cookie sheet. 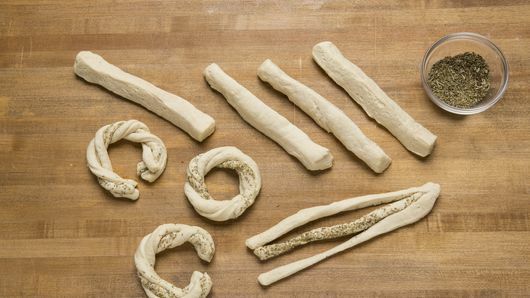 Repeat with remaining dough to make 8 rolls. Brush with egg white. Try replacing the Italian seasoning with a salt-free seasoning mix for a fun flavor twist.